In the self-deceit contraption known as "One Nigeria," there are three classes of people inhabiting the country. The first class citizens, those who parades as owners of Nigeria, are the Hausa/Fulanis, the second is the Yorubas and the last are the Biafrans. The Hausa/Fulanis are the only ethnic group who are authorised to do anything in Nigeria and nobody would challenge nor ask them questions because they are the occupiers of government positions, that's why they will go about killing innocent people (Biafrans), destroying their homes and farmlands, rapping their women and even claiming their farmlands for cow rearing, making life unbearable for Biafrans and nobody to complain to as most people afraid of being arrested or persecuted for saying the truth. The second set of people are the Yorubas; these ones are carried along because they are involved in some political appointments. And lastly are the Biafrans, who possesses the natural resources that Nigeria accrues its fundings from yet they are being marginalized, persecuted, massacred, incarcerated and murdered by government's anti-Biafra agents on daily basis for seeking their freedom and yet nobody is talking about it. We must allow justice to prevail. It has now come to the fore that one of the aims for creating Nigeria is to eliminate the Biafrans and claim their God-given natural resources because of envy and jealousy. There was never a time when Hausa/Fulanis and Yorubas loved Biafrans. Since the creation of Nigeria, after the Nigeria-Biafra war, the British in collaboration with Fulanis stole our natural resources, using it to develop their country. They have taken us as slaves in our homeland. They have killed the future of our youths. Instead of allowing the Biafrans have access to their resources as they truly deserved, they handed it over to the Fulanis whom they can easily manipulate. The Hausa/Fulani-dominated Nigerian government has sold our rights. We have nothing to call our own. 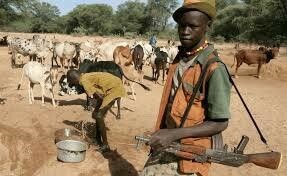 The Fulanis do not take us as humans, and does not share the same value with us. That's why Boko Haram terrorists and murderous herdsmen are being treated with kids gloves, pampered and protected by the Central government using their military arm. Hausa/Fulani culprits are not allowed to face the law but IPOB peaceful protesters and agitators are being haunted down and eliminated. That is why we the Indigenous People of Biafra, seek freedom from Nigeria. We want to restore our nation Biafra which will be the hope of a common man were every Biafran will be treated equally because Nigeria is not for Biafrans, we were not Nigerians, we have never been Nigerians neither will we ever be Nigerians. All we want is to restore Biafra's sovereignty that was brutally snatched away from her during the war. This time is different, it is not a call for war but simply for justice to prevail.